SOUTH SIOUX CITY, Neb. / Mayor Rod Koch was upbeat on the city’s drive to be green, which he described not only as money-smart but also ahead of the curve. “With all the regulations and changes Washington’s making on coal, we’re seeing the writing on the wall – we’re trying to get in a better position for the future, and the future is wind and solar,” Koch said . . . The city has set aside 21 acres of land — on C Avenue south of East 48th Street, between South Sioux City and Dakota City — for a future solar farm that could be operational in 2016. The city is receiving bids from private companies that would build, own and install solar panels. The farm would provide 3 megawatts of solar power for the city. 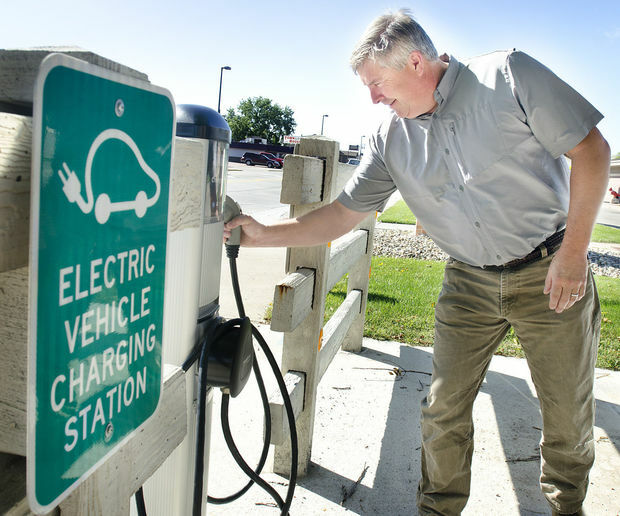 This entry was posted in Nebraska / Midwest News, NewsBlog and tagged Electric Vehicles, environment, Kent Zimmerman, Lance Hedquist, LES, NPPD, Renewable Energy Options in Nebraska, Rod Koch, Roth Industrial Park, Sierra Club, South Sioux City, South Sioux City Solar Farm, Sustainable Energy on September 13, 2015 by Helen Deffenbacher.